Today’s episode features Michelle Ward, the When I Grow Up Coach! Michelle has been offering dream business guidance for creative women since 2008. You may have seen or heard her in New York Magazine, The Huffington Post, Etsy, Newsweek, Freelancers Union, USA Today, the Forbes Top 100 Websites for your Career List or 150+ other media outlets. She’s the co-author of The Declaration of You, which was published by North Light Books, and the teacher of Create Your Dream Career and Ditch Your Day Job, which were watched by tens of thousands of people live on CreativeLive. When she’s not coaching, teaching or speaking, she can be found building a fort for her little girl, sitcom-binging with her husband, or belting out show tunes. One of the things that I have always adored about Michelle is how direct she is with her advice. 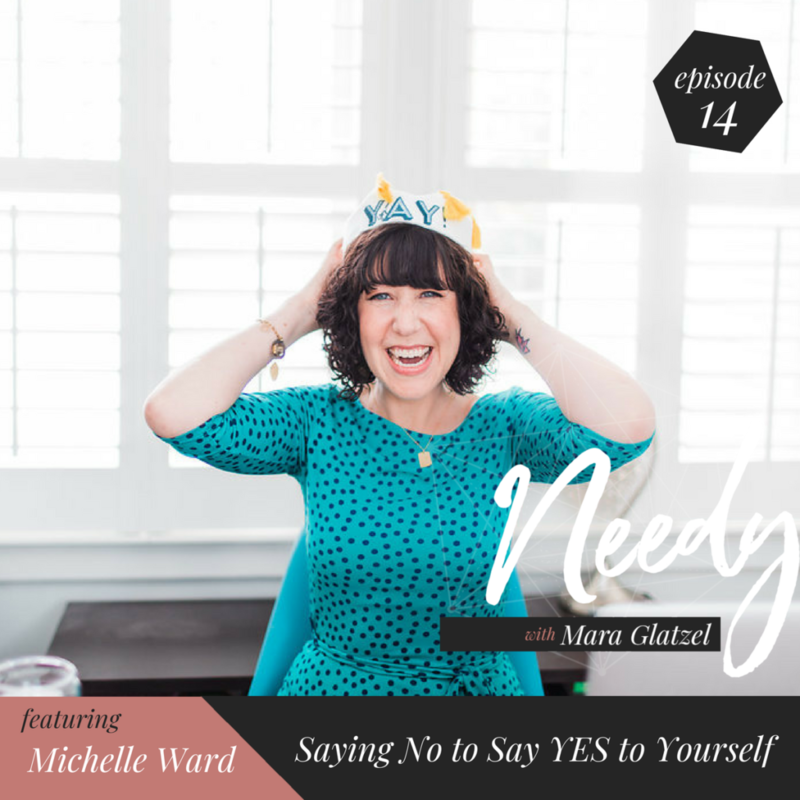 In today’s episode, she reminds us that we may need to say no to in order to say YES to ourselves and to our dreams in a way that feels both encouraging and spectacularly doable. Michelle shares about how her self-care has evolved through creating her business, getting married, adopting her daughter, and surviving breast cancer, twice. I hope you enjoy this episode! Click the play button below to listen in.